Thing I saw on Pinterest that really does work: Simmering cinnamon on the stovetop to clear the kitchen air. Yesterday we had a neighborhood get together BBQ. After four hours of smoking ribs, grilling hamburgers etc. our kitchen smells like a campfire. 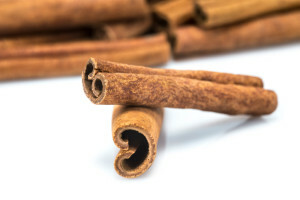 A few months ago I saw on Pinterest the simple trick of simmering two cinnamon sticks in a small saucepan to neutralize any off smells in your kitchen. When I woke up this morning, I put two sticks on the stove. 45 minutes later the kitchen smells pleasant and the smell of smoke/BBQ is completely gone.